I LOVE pullapart cakes! They’re easy to bake, easy to serve and there are no specialty baking pans required! 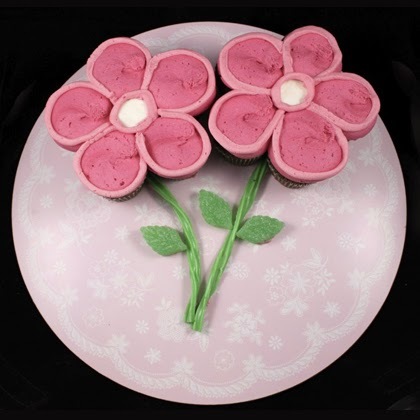 This cute spring flower pullapart cupcake cake can be modified to be just 2 flowers as per the image above, or you can make a whole bunch of flowers in different colours to create a stunning cupcake bouquet.